The Trap for Wedge Antilles. In a galaxy far, far away, lived a young man named Wedge Antilles. Many didn't know about Wedge's upper-middle class upbringing. They knew him as the pilot who fought in the two Death Stars and the AT-AT showdown on Hoth. Who was the real Wedge Antilles? Well, he was a very nice man who was a little shy around women. Though he didn't talk much, he was generous and kind and was loved by his family and his small circle of friends. At a party one day, one of Wedge's friends teased him of being 'girlfriendless'. Suddenly, an older, burly man at the party said that he could introduce Wedge to Zam Wesell, his 'beautiful' sister. Wedge's friends encouraged the shy Wedge to just meet the man's sister. Wedge reluctantly met Zam Wessell. It was a short and uneventful meeting. The Brother then asked Wedge to come over to their house the following week. "Meet the family," he said. Wedge felt a little nervous as he wasn't sure he wanted to date Zam Wesell but he still went. When he reached the house, he was surprised to see about a dozen of people and a priest! The Brother told him that he must marry Zam Wesell as "in our culture, we don't condone dating". Quel horreur! Wedge panicked. He didn't want to marry the woman he hardly knew! Wedge protested but no words came out from his mouth. He 'lost' control of his muscles. He couldn't run out of the house. He felt a lump in his throat. The people were closing in on him. What happened next was a blur. A year later, Wedge went home to his family, bringing along Zam Wesell and a baby boy. Wedge's family was surprised and upset. They had been frantically looking for him for one whole year. As there was no news from him, they thought he was kidnapped by Jabba's men who wanted ransom money. Wedge's mother noticed that Wedge was quieter than before. Zam Wesell eagerly told them about their son and said, "He carries the Antilles line!" 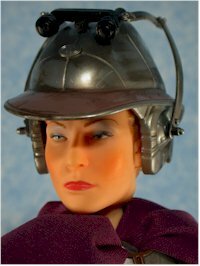 Wedge's mother broke down when Zam Wesell forced Wedge to leave the Antilles' mansion. The family was confused. Their Wedge would never abandon his family or upset them. Could Zam Wesell had held him hostage and allowed him to return only to tell them that their wealth would fall onto Wedge's son? Was that son really Wedge's? Luke Skywalker eventually told Wedge's family Wedge's sad story. According to Luke, Wedge felt he had been trapped by Zam Wesell's family. He was not allowed to see his own family. Heartbroken, Wedge went away to Tatooine to train as a pilot. He wanted to get as far away from Zam Wesell. Though he was far from his children (he had four, Zam Wesell insisted, perhaps as a means to 'control' him), Wedge was a very responsible father and provided well for his children. He felt that he had been conned into marrying an unscrupulous woman. Apparently Wedge divorced Zam Wesell when the kids were a little bigger. Wedge never remarried, he said he had endured enough sufferings. He blamed himself for making his beloved mother fall sick after she found out what had happened to her son. 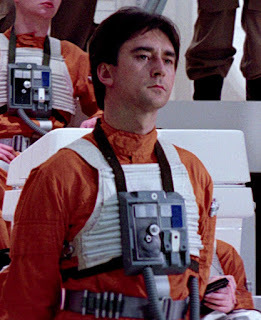 Many battle scars later, Wedge Antilles passed away peacefully beneath the Tatooine moons. *Food for thought: Isn't the Brother's tactics somewhat similar to a certain Malay ethnic group who, in the 1940s to 1980s, forced the guys to marry the girl and not date her? Cassian, don't you think Father Sidious is behaving like the gangsterly Brother? Forcing you into marrying his daughter when he didn't even know you... Fishy much?